When Freddy gets new next-door neighbors who are loud, obnoxious, and maybe a bit magical, she and her siblings are sent on a wild adventure to keep the balance between chaos and order in the universe. Their adventures span time and space and leave them tampering with the gods and with the nature of reality itself. Alice’s grandma was a cult classics story writer swathed in mystery. But Alice and her mother never talked about her. They only knew they were very, very unlucky. After Alice’s mother disappears, Alice is set on a wild adventure leading back to her grandmother’s estate, the Hazel Wood. Her past is inescapable and things are more fairytale-like by the minute. 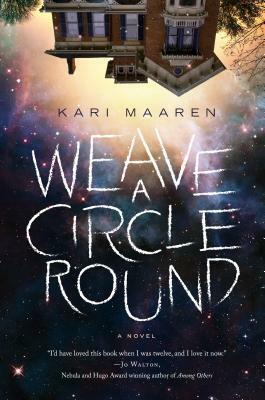 Weave a Circle Round: The best part of this story is the way it captures family conflict and its use of circular and parallel story structures. Freddy’s adventures have eerie echoes of one another that eventually lead to some interesting conclusions. Maaren uses these echoes to engage Freddy with her own problem-solving skills and sense of strength. It’s through that growth that Freddy can embrace her family and resolve the conflicts between chaos and order. The Hazel Wood: The Hazel Wood has some wonderfully dark fairytale moments. Albert is clearly going for more of a Grimm’s fairytale world than a Disney princess world and has some moments where she truly succeeds. Alice’s story embraces a kind of occult wild goose chase that I found incredibly appealing. Bonus points: the romance subplot is not actually a romance subplot. Weave a Circle Round: Weave a Circle Round would have benefitted from some clearer plot. Its circular elements have very high points, but also can serve to distract from what Maaren is really getting at with some of her themes. They can be confusing and occasionally leave the reader with a sense of having missed something. The Hazel Wood: Alice needed more character development. She doesn’t really try to understand others around her and gets very angry, which has its place, but Albert doesn’t really use that to its best advantage. Additionally, some of the occult and mystery elements waiver in the first half of the book. If you must read one… I’d probably say read The Hazel Wood, but with the caveat that younger audiences will enjoy Weave a Circle Round more. The Hazel Wood is very interesting YA, but Weave a Circle Round is more approachable and traditional adventure fantasy. Personally, I enjoyed the darkness in The Hazel Wood more, even if it could have used some work. I’d probably say read The Hazel Wood, but with the caveat that younger audiences will enjoy Weave a Circle Round more. The Hazel Wood is very interesting YA, but Weave a Circle Round is more approachable and traditional adventure fantasy. 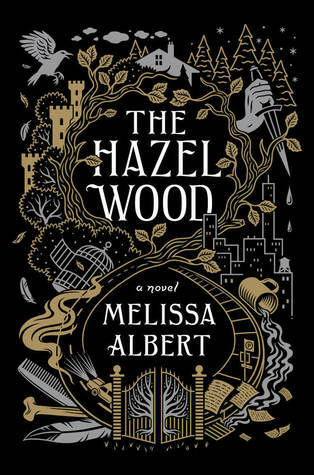 Personally, I enjoyed the darkness in The Hazel Wood more, even if it could have used some work. This entry was posted in Reviews and tagged Alice, Books, fairytales, Fantasy, Freddy, Gods, Kari Maaren, Melissa Albert, Mini review, Reviews, The Hazel Wood, Time Travel, Weave a Circle Round.